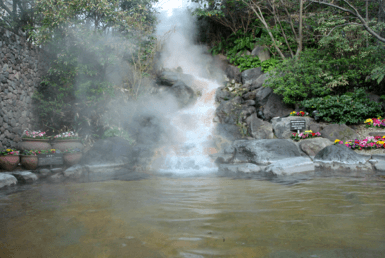 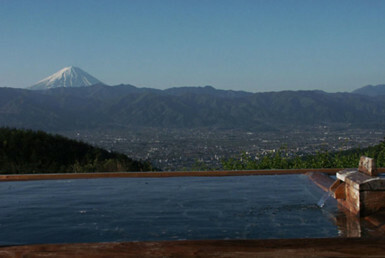 It is a day-trip hot spring facility in the outdoor leisure spot of “Furusato village”. 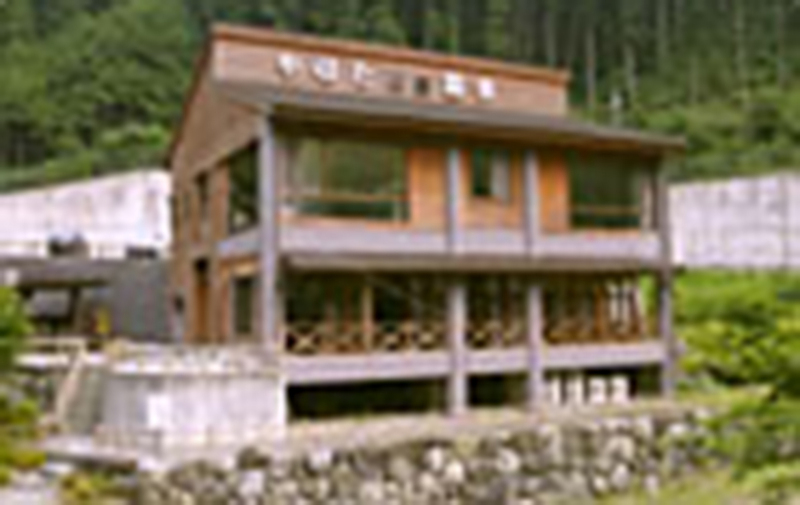 “Furusato village” has accommodation facilities, campgrounds, BBQ places, etc. 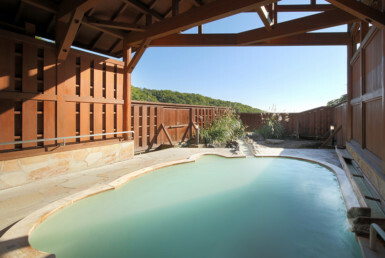 centering on the visitor center which reused the school which was built 100 years ago when it was discontinued, and it is along the mountain stream, so visitors can enjoy the river. 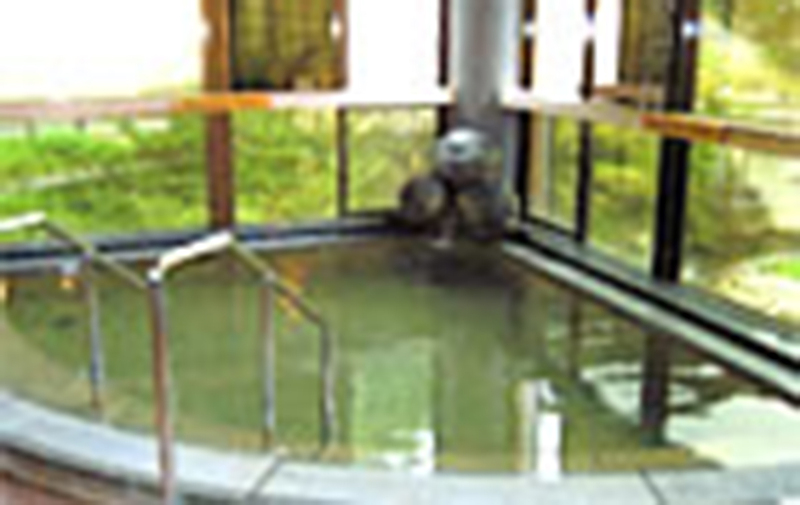 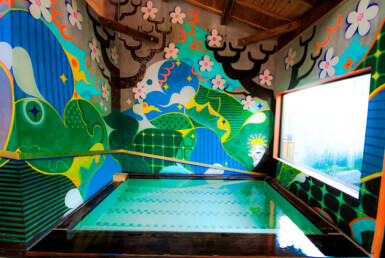 In hot springs, men and women change regularly in two types of baths, “Hinoki Bath with ancient Hinoki” and “Rock Bath with Granite”. 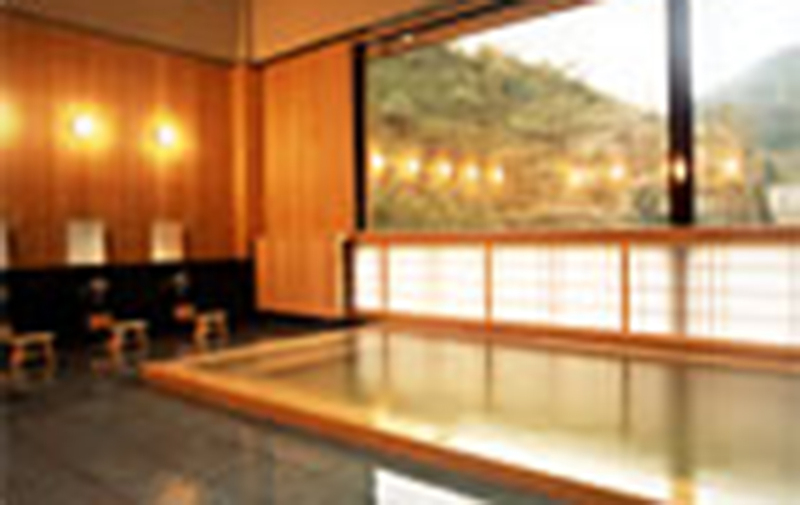 Both of them offer a natural view from the large windows and a relaxing location. 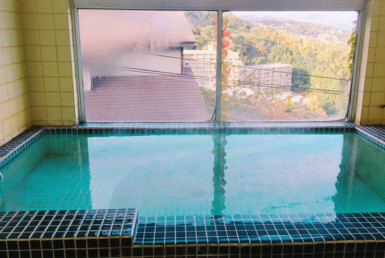 There is also a resting room where visitors can relax in the hot water lounge, so it is perfect for after plenty of plays or drop-in during touring.